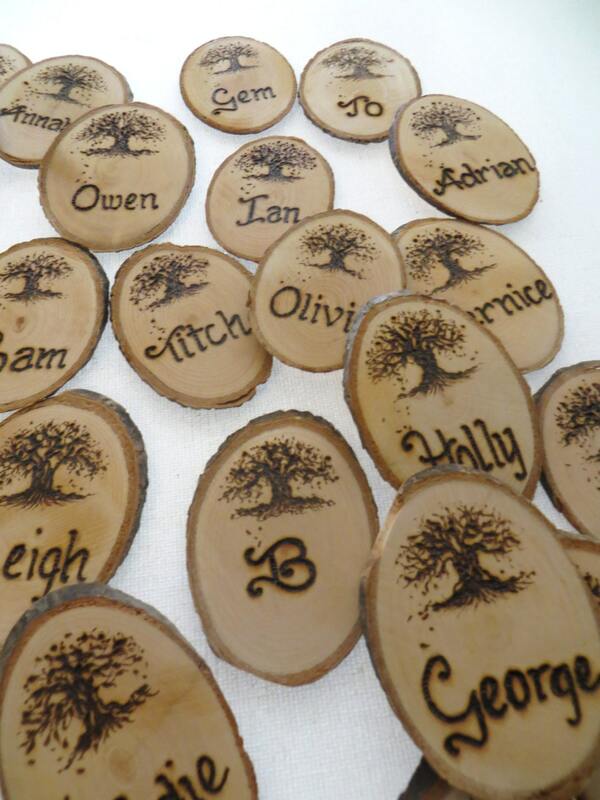 Hand made table name settings from my Woody Womans World made from wood supplied by supporting local. Oval in shape and enhanced by the perfect variations of nature. Each will be as lovely as the next and left natural. 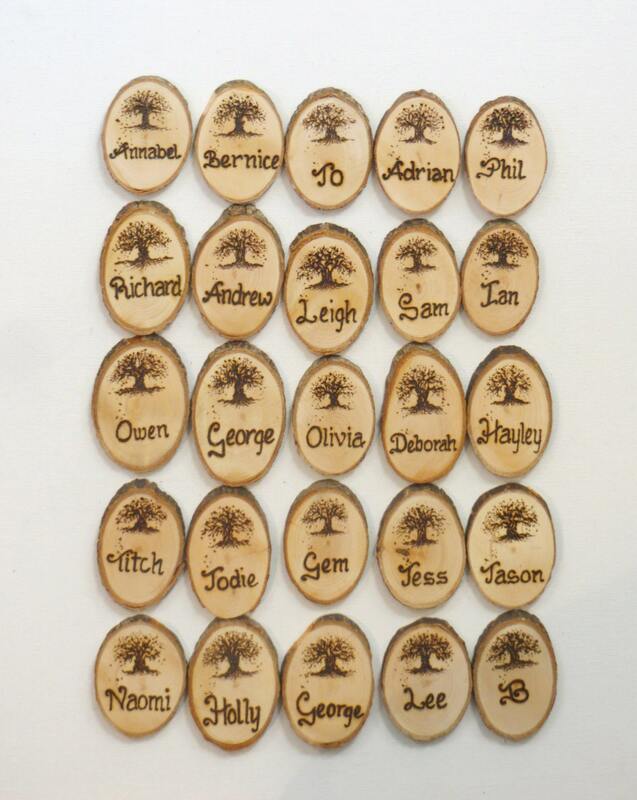 They are freely hand written with a good eye, lots of love and oodles of passion using the ancient art of pyrography.....burning with fire. Perfect for the feel good factor of the hand made. Select the quantity you require from the drop-down menu. 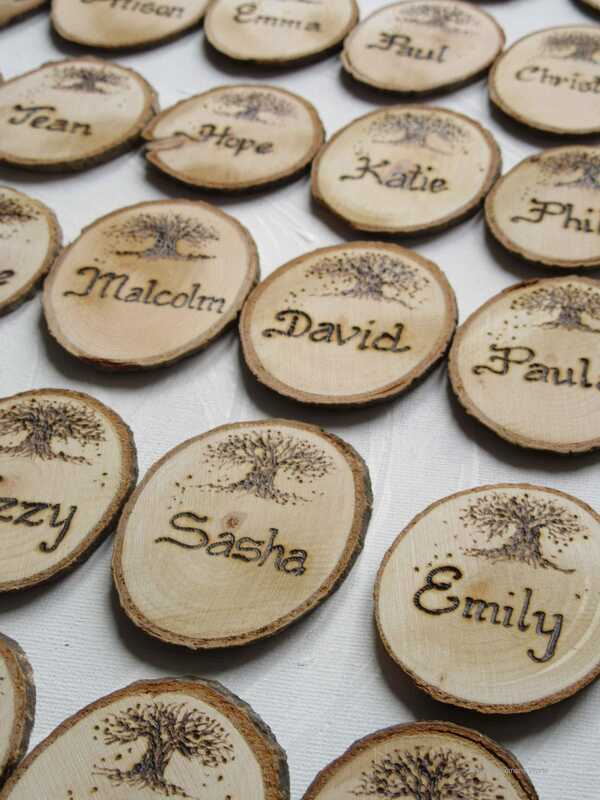 To send me your guest list kindly message me at woodywomansworld [!at] gmail.com or send me your guest list via etsy messages or as an image attachment here on etsy. Kindly send me the date you require your settings for. 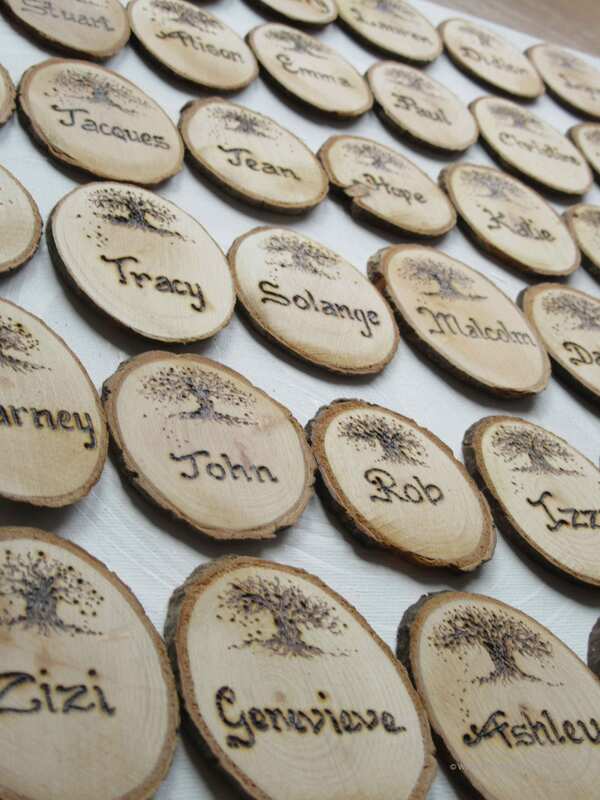 After name confirmation an image will be sent for your thoughts before dispatch, ensuring you are entirely happy with your order. The place names will be beautifully wrapped and sent Signed for which will need a signature on their delivery. If you require a speedy delivery please drop me a line and will do my best to help you out. For the full Range of place settings follow the link below. 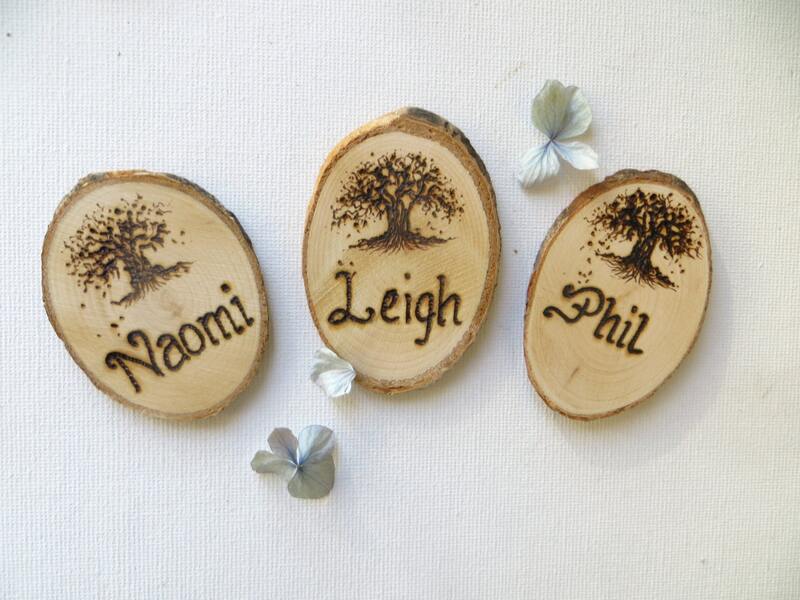 Stunning looking place names from lovely wood, beautifully gift wrapped with care and attention to detail from someone who clearly takes great pride in her work. 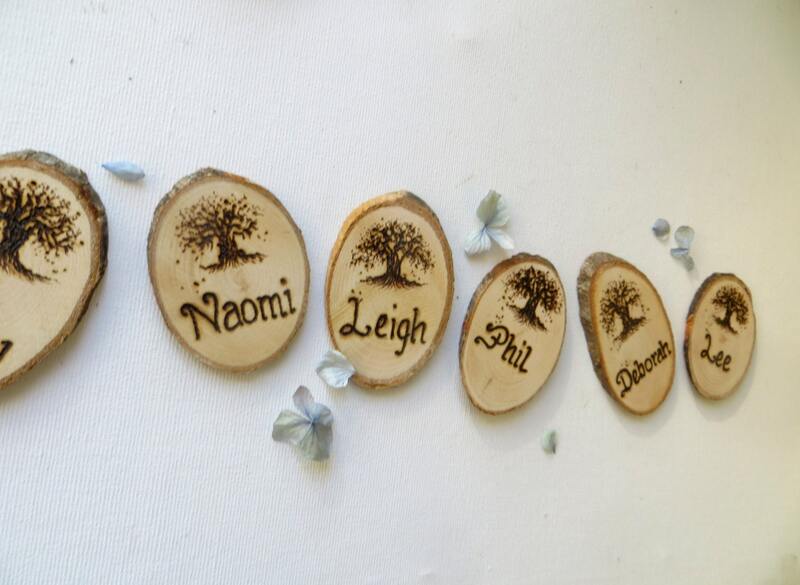 Can’t wait to give these to my wedding guests at the weekend! Woody was a delight to communicate with and very helpful especially when I had to make a few last-minute changes. Highly recommend! Really helpful seller and these were well received as place settings at our wedding. Beautifully packaged too. Thanks very much Woody! Very good quality, prompt delivery with regular update. Very friendly and helpful.